Tom Haudricourt of the Milwaukee Journal Sentinel reports Bowling Green native Corey Hart suffered a slight strain of his right side during defensive drills Saturday. 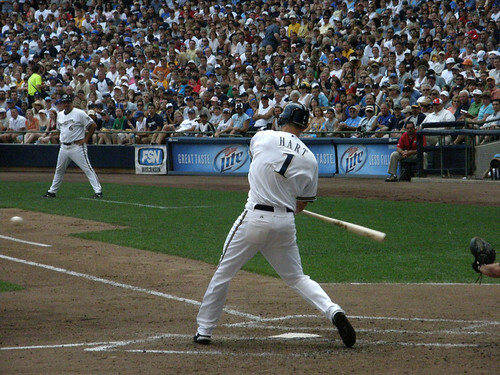 Hart may miss a couple of days with the injury according to Brewers manager Ron Roenicke. Following a night full of Internet rumors, Keith Law of ESPN.com reports via Twitter that former UK left-handed pitcher James Paxton has not signed with the Seattle Mariners yet, but the deal is “getting close.” Paxton was the team’s fourth-round pick in 2010 after he was ruled ineligible during his senior season at UK for having his agent, Scott Boras, negotiate directly with the Toronto Blue Jays following the 2009 draft. Todd Zolecki of MLB.com reports former UK right-handed pitcher Joe Blanton shrugged off the rampant offseason trade rumors and the his status as forgotten man in the Phillies rotation to post a stellar Spring Training debut. Jeff Caplan of ESPNDallas.com reports Ashland native and former UK right-handed pitcher Brandon Webb threw off a mound for the first time this Spring on Sunday. John Fay of the Cincinnati Enquirer reports Louisville Bats outfielder Dave Sappelt was the start of the Reds’ Saturday intrasquad scrimmage. 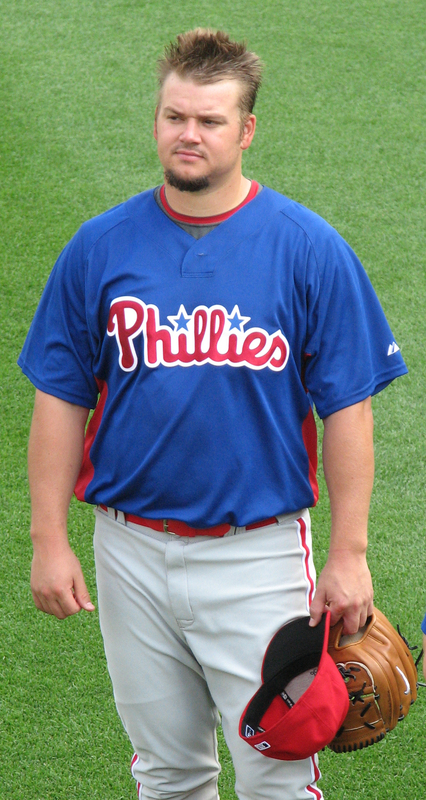 Former UK right-handed pitcher Joe Blanton pitched three hitless innings in his Spring Training debut for the Philadelphia Phillies. 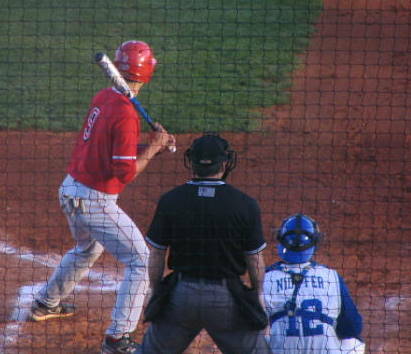 Blanton struck out one batter and walked one. Offseason Louisville resident Matt Maloney struck out two batters in two perfect innings for the Cincinnati Reds. In that same game Lexington native Austin Kearns was 1-2 with a strikeout for the Cleveland Indians. Elizabethtown native Nathan Adcock surrendered two hits in a scoreless inning for the Kansas City Royals. Atlanta Braves second baseman Dan Uggla, who was born in Louisville, was 0-3 with one strikeout in his Spring Training debut. Former UK first baseman Ryan Strieby earned his second consecutive start at first base for the Detroit Tigers but was 0-2 Sunday. PLD alum A. J. Ellis was 0-1 for the Los Angeles Dodgers. Former UK outfielder Collin Cowgill was 0-2 for the Arizona Diamondbacks. 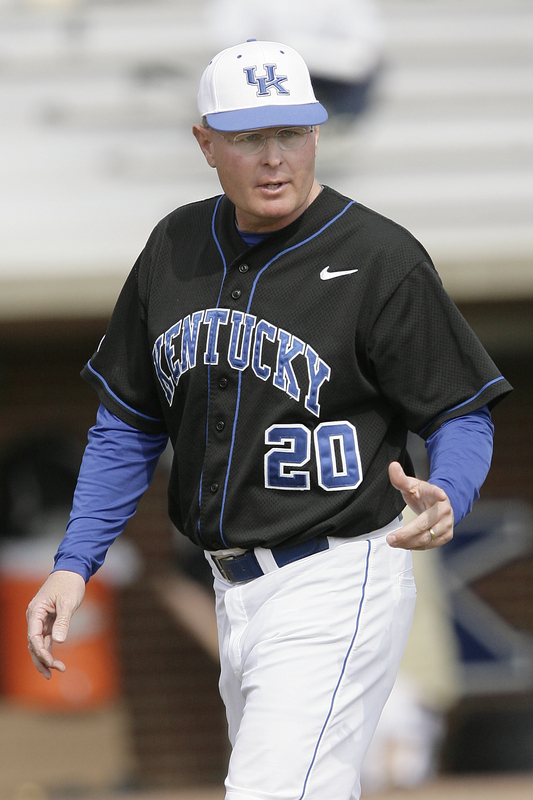 After the University of Kentucky returned from its opening weekend series in South Carolina last week, head coach Gary Henderson was anything but happy with his team’s performance. The Cats finished the first weekend of the season 0-3 after surrendering 20 runs versus College of Charleston, Marshall and Miami of Ohio. But after a 3-1 win Sunday the Cats had used a 4-1 week to even their season record at 4-4. “I think being 4-4 is a good spot considering where we were last week,” he added. Henderson was particularly pleased with the way his pitching staff showed up during the series versus UIC. 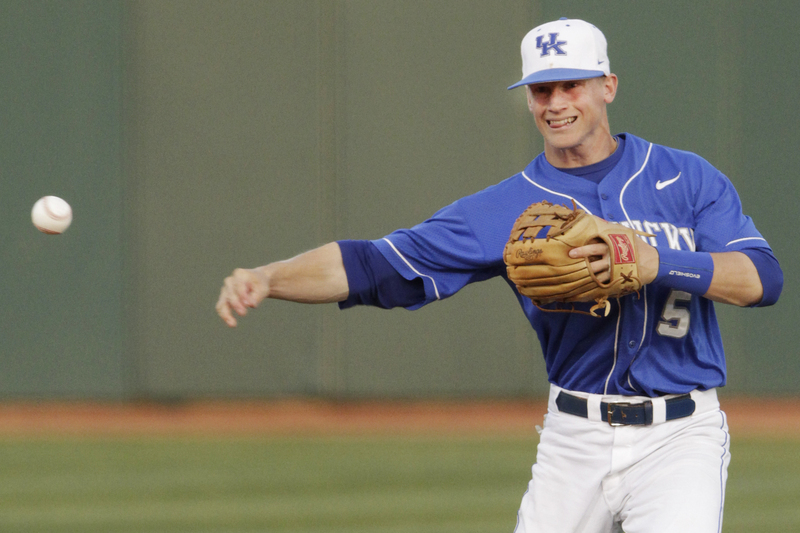 UK sophomore right-handed pitcher Jordan Cooper was hit hard at times during his Sunday start, giving up eight hits in five and one-third innings of work. However he limited UIC to just one run in his start and worked out of jams in each of the first four innings. Cooper left Sunday’s game in the sixth inning with one out and two UIC runners on base, but freshman right-handed pitcher Trevor Gott came out of the bullpen to induce a double-play to end the inning. Gott earned his first collegiate win in the game after pitching two and one-third scoreless innings. 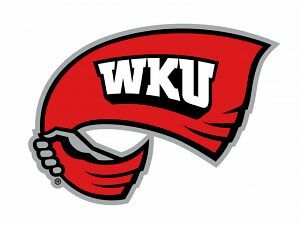 After usual closer Braden Kapteyn blew a save in game one of the weekend series, Henderson turned to senior left-handed pitcher Mike Kaczmarek to close out the game Sunday. Kaczmarek responded by recording the final four outs of the game while surrendering just one hit for his first career save. After starting three games in the outfield this week, Kaczmarek returned to his normal role in the bullpen for the final two games of the weekend. Henderson noted it was difficult to manage his bullpen with both Kaczmarek and Kapteyn playing the field. Despite the 4-4 record, Henderson said he thought his team had pitched well in seven of the first eight games with just two innings in those games going the wrong way. Former UK first baseman Ryan Strieby was 1-3 with one RBI for the Detroit Tigers. Atlanta Braves left-handed pitcher Jonny Venters, who was born in Pikeville, surrendered on hit and struck out one batter in a scoreless inning. In that same game Braves non-roster invitee Michael Broadway, a right-handed pitcher who was born in Paducah, was charged with a blown save after surrendering two runs on two hits in one inning. PLD alum A. J. Ellis was 0-2 for the Los Angeles Dodgers in a split-squad game versus the San Francisco Giants. Lexington native and former UK outfielder Collin Cowgill tallied a single in a pinch-hit appearance for the Arizona Diamondbacks.